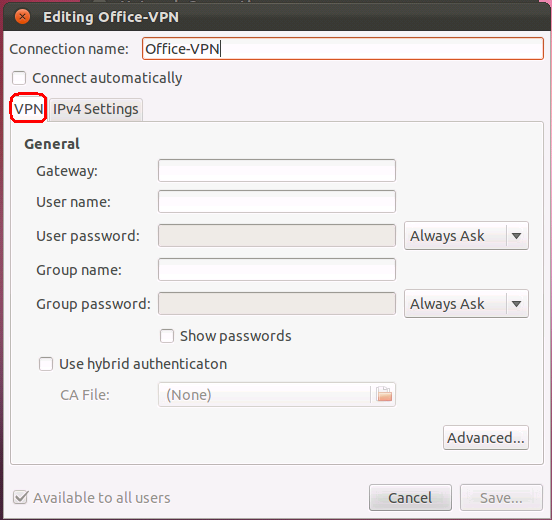 This tutorial explain how to install Cisco VPN client on ubuntu 11.10.On Ubuntu, you don't need to install the Cisco VPN Client: NetworkManager includes support for Cisco IPSec VPNs. This will install vpnc, network-manager-vpnc and network-manager-vpnc-gnome. 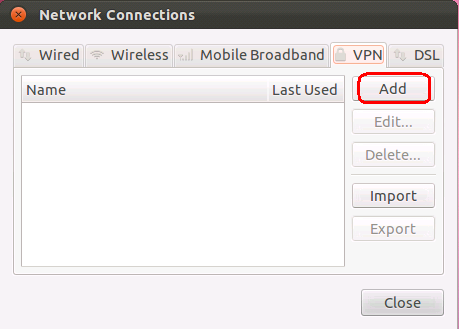 Now you need to left click on your network manager applet (Located in your notification area) And choose "Configure VPN..."
To start your new VPN, just follow the steps again, but instead of "Configure VPN", you'll click on the entry you created. Thanks for sharing… I will try configure my VPN Client. Works great, much simplier than installing other Cisco VPN solutions! thankx buddy for this sharing this information. Great tut, saved me messing around with scripts! 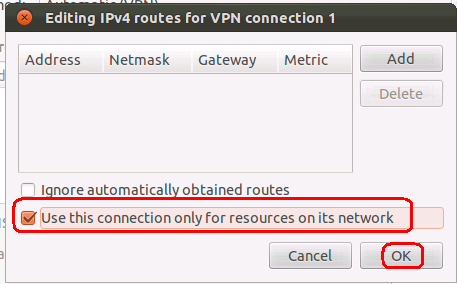 Package network-manager-vpnc is not available, but is referred to by another package. Doing update first didn’t work me — still getting same message. What worked is I installed 12.04LTS from scratch (not via upgrade) and I was able to install network-manager-vpnc just fine. Maybe the /etc/apt/sources are not just set up properly on mine. Thanks Bro. You really helped me. sudo apt-get was giving issue for me as well, then i tried synaptic package manager to install it successfully. Not connecting to Cisco ASA 510 for me. With advanced settings set to match what I have on my RV042 routers (IKE group, etc.) the icon shows attempting to connect. The lock icon will appear briefly but then immediately changes to the Ubuntu trying to connect icon. 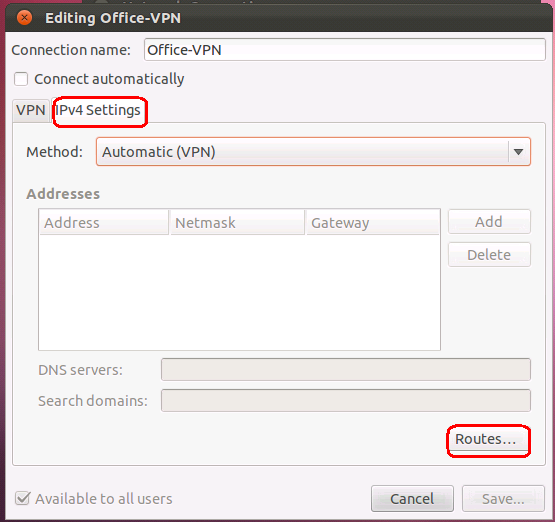 No traffic passes through vpn (cannot ping any of my remote hosts). How do I troubleshoot this?? Thanks Ksan – your suggestion worked in new install of 12.04. Works with my UC, thanks. running Ubuntu 12.04 LT I installed Cisco ASA throgh terminal but it doesn’t show anything. Doesn’t look like anything installed. Don’t see any thing; Should I post screen shot? Thanks for sharing, I’ve been searching for these steps for several days.